Mariposa was committed to increasing our press coverage. Liz and her team are very well organized, friendly and so much fun to work with! They are a good addition to your company for brand awareness! Working with Liz and her team was a lovely experience. They took the time to reach out to many different facets of the industry where my brand could gain notoriety and were always open to brain storming together. When traveling, they would assist in sending or collecting our samples for last minute requests, leaving you feeling like they are part of your team. 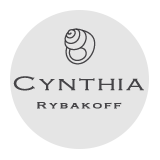 Getting our product on key celebrities has helped to open doors for luxury retailers that were hesitant to take a chance on an new brand and without Mariposa Communications, that would not have been possible! Receiving product placement in several fashion publications was very exciting too, showcasing their efforts. We are looking forward to see how their hard work unfolds in 2016! Working with Mariposa Communications has been a wonderful experience. I have been offered a very unique approach, effective representation and excellent exposure on the national, regional and online scale. Thanks to the Maripossa team, my designs ended up on the covers of my favorite fashion magazines and I was able to push my business further with confidence and quality press coverage. Mariposa Communications offered us a really personalized, effective representation with the media, resulting in many more placements than our previous NYC PR firm. We were very impressed with Liz’s professionalism and results. Clearly, Liz knows the industry and the players and is able to translate those relationships into steering Mariposa’s clients’ products into great media placements. We had far more media exposure with Mariposa in six months than we did with our previous firm in the same amount of time. There really is no comparison. Liz and her team have been a delight to work with. The Mariposa team is kind, keen, professional and attentive. They are very thoughtful, always checking in on my needs or just sending a note to say hello. They are quick to act on opportunities for my business and I have been so impressed with the press coverage they have achieved in such a short time. Because they have taken the time to get to know me and the MoonRox brand very well, they have targeted the most suitable and high quality publications both in print and online. I am so pleased with the results of several amazing credits in top publications! I would highly recommend working with Liz and the Mariposa Communications team! I have had the pleasure of working with Mariposa for the past year and have been thrilled with how much they have helped my company to grow. Just when I think we’ve had the most incredible month of PR, the next month surpasses it. I have been especially impressed with their involvement in my brand. Mariposa understands my company, its objectives and goes above and beyond to achieve our PR goals. Their professionalism, attention to detail and their emphasis on working together with the client make Mariposa’s team an incredible one to partner with. I can’t wait to see what the coming years with Mariposa bring! I really enjoyed working with Mariposa Communications, and was pleased with their results driven focus. Liz and her team have helped tremendously in expanding my brand awareness, bringing it to a much wider audience with consistent quality press credits and features in key publications, and celebrity placements. 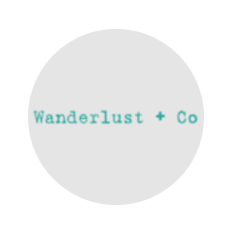 They are extremely organized and hardworking, and will go out of their way to help with any kind of creative marketing solution, including throwing a great party! It has been a pleasure to work with Mariposa Communications. I am constantly reflecting on how my business has grown over the past year and how Madame Mathilde would not be where it is today had I not hired Liz. Through consistent editorial credits and introductions to industry connoisseurs I have been able to take my passion of jewelry making from hobby to career. I am able to focus more of my attention on the creative knowing that Liz and her team are taking care of PR needs and making sure my brand gets the recognition it needs. 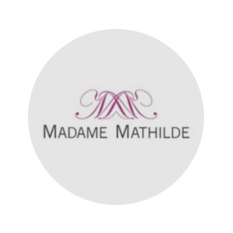 Each month I am thrilled to see the great press Madame Mathilde receives and even more thrilled to see those credits result in staggering sales. With my brand ever expanding I look forward to what is in store for 2012. We have had the pleasure of partnering with Mariposa Communications and have been delighted with their service. The Mariposa PR girls are hard working, committed and enthusiastic. Liz is thoughtful and responds to everything quickly and efficiently, no matter how big or small. Mallory is incredibly organised and constantly on top of opportunities for our brand – making her such a joy to work with. An amazing team that we would highly recommend! Mariposa Communications has offered me personalized attention, business strategy and service, and uses its extensive network of expertise through Liz Anthony to promote my jewelry company. Liz Anthony has successfully helped me develop and promote my business from the very beginning when I first started, and in the 6 months of working with her I am at a spot that I thought would take years to get to. Since working with Mariposa Communications my jewelry collection has been recognized by the celebrity market and the mainstream customers through Liz’s hard work and determination to make my business the best it can be through the public eye. She has excelled in getting my company press hits on the national (including weekly & monthly), regional, trade, and online levels by coordinating with different media outlets through magazines, newspapers, and websites. Based on my experience, I’d have no hesitation in recommending the services of Mariposa Communications to anyone looking to raise the profile of their company. Liz is highly conscientious allowing me to concentrate on other aspects of my business with confidence that my fashion PR needs are being met. And most importantly Liz gets results! From InStyle to O Magazine, I have been thrilled with the consistently high quality press coverage that Liz has obtained, helping me to build my brand and take Rosena Sammi Jewelry to the next level. I am the happiest client ever- working with Mariposa Communications has been a great experience. If you want to work with a team that is thorough, knowledgeable, meticulous and creative – then you need to work with Liz and her team. They are just that good! The attention to detail is what sets them apart-I know that they are representing my designs with as much knowledge and care as I would. Their work is perfect. It is a really great feeling to know that your business is in such good hands. Working with Mariposa Communications is WONDERFUL!! !